Cape Town – Tax practitioner Nosicela Ntozini was sentenced to six and a half years direct imprisonment in the Cape Town Regional Court on Friday for 159 counts of fraud and for failing to register as a tax practitioner. During her case it emerged that during her time as a call centre agent for the South African Revenue Service, she completed Income Tax returns on behalf of the 38 taxpayers where she claimed fraudulent refunds. In a statement the National Prosecuting Authority said she used relevant codes in claiming medical expenses and deductions in respect of retirement annuity funds contributions, which were never incurred by the taxpayers. “She in this way manipulated the SARS system in order to generate the fraudulent refunds, which were paid directly to the 38 taxpayers. The taxpayers paid the accused a percentage of the refunds they received,” he said. According to the prosecutor for the case Adv Thozama Plaatjie-Mbodlana, SARS paid out a total of R 399,134 to the 38 taxpayers of which the accused received R109,660 as her benefit over a period of 2 years and 6 months. 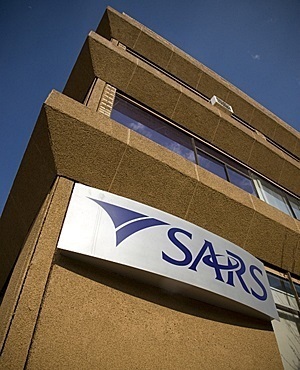 “The accused was the employee of the SARS and in a position of trust. She used her knowledge to manipulate the system and to claim fraudulent refunds for 38 taxpayers whom were mostly family members. She enriched herself with the fiscus money,” Advocate Plaatjie- Mbodlana said. NPA welcomes this sentence and appeal to taxpayers not to be persuaded by anyone including SARS officials to engage in dishonesty with tax returns. The NPA statement said taxpayers who received payments from her schemes may have to pay back that money wrongfully given to them as a repayment.